Summary: How much do floor tiles cost, average floor tiling installation costs and average cost of floor tiles. Having decided that tiles are the right material for your floor, thoughts turn to costs and there is no hard and fast rule on pricing. There are many variables to consider which are largely dependent on personal preferences. It is worth considering, before embarking on the tiling project, whether you want underfloor heating as this will need to be installed underneath the tiles. It will add cost but can eliminate the issue of tiles being cold under foot. You will also need to decide whether you are laying the tiles yourself or employing a tiler. Tiling is an achievable DIY task but does require a fair degree of competency. DIY means costs are limited to the materials. You may want to prepare the area for the tiler then you will not have to pay this skilled tradesman to remove old tiles and prepare the surface. DIY means costs are limited to the materials. In answer to the question 'how much do tiles cost?' you might well answer 'how much do you want them to cost?' because the number of variations are endless. The major contributor to cost will be how large the area to be tiled is. Both tiles and tiling costs are usually quoted in a price per square metre and this is the relative cost that needs to be considered. Like many jobs there are some economies of scale and it may be possible to negotiate a low square metre rate for a larger area. Conversely, you may find a small area relatively expensive as the tradesman will have a number of fixed costs such as travel and provision of tools. So even for one tradesman their rate will vary depending on the job you want done. It will be more costly if the surface to be tiled is not ready. It must be a clean and flat surface so old tiles and carpet or laminate will need removing. The surface must be completely flat so may require the laying of boards or an application of self levelling concrete. Costs will depend on what is required and whether you employ a tradesman to do the task. The complexity of the task is a big factor. A straight forward square or rectangular room that perfectly fits your tile size will be a lot easier than one with nooks and crannies and a tile size that needs lots of cutting and fitting. The tiles themselves are now available in a vast array of sizes, shapes and qualities. Your choice of tiles is crucial. Prices can range from a few pounds per square metre right up to over £100 per square metre. There are a number of different tile materials including quarry, ceramic and terracotta, slate and stone. It is a good idea to talk to your tiler before you purchase your tiles as he will be able to make you aware of any pitfalls with a particular material or size of tile in relation to your job. Sometimes larger tiles can be easier to lay unless they have to be fitted in awkward spaces with mosaic tiles being the opposite, easy to fit around objects but labour intensive to lay. Whilst many choose straightforward layouts often tiles come in a choice of sizes so can be laid to form a pattern or design. Border tile can also be a feature but essentially the more complex the layout the more likely it is that a professional installer is required. More complex jobs will take more time and time is money but in the long run a good job will give years of pleasure and add value to the home. The costs for tiling although generally priced per square metre do vary not only by region and location but also depending on experience and size of firm. A solo tiler may have a relatively small turn over and not need to charge you VAT for example. Always get a number of quotes and ask around for personal recommendations. 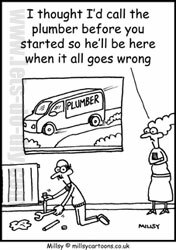 Tile outlets will often have a list of tradesmen that they deal with regularly. Aside from the cost of the tiles and labour to install there are additional costs for adhesives, sealants and grouting and these will need to be factored in. Sometimes tilers will only charge you cost or you could obtain materials on their behalf thus saving yourself any surcharge. Some tillers will include materials in their rate so it's important to know what you are being charged for. The major contributor to cost will be how large the area to be tiled is. Costs will depend on what is required and whether you employ a tradesman to do the task. Always get a number of quotes and ask around for personal recommendations. Join an existing conversation or create a new thread related to Tiling in our DIY forum.